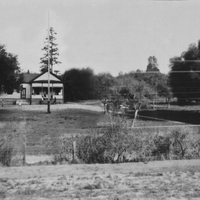 First Scotts Valley one room school house with windmill and automobile on the Los Gatos to Santa Cruz Road. 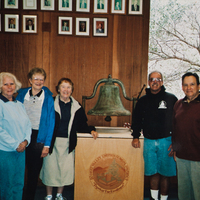 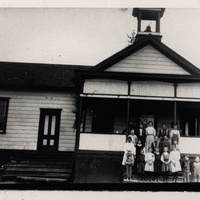 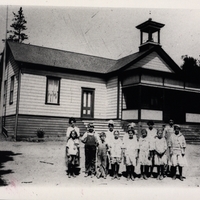 Scotts Valley school bell of 1872, with Julie Fetter, Virginia Hooper, Marilyn Quaintance, middle school staff member (name unknown) and Chuck Fetter. 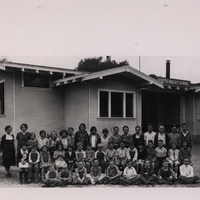 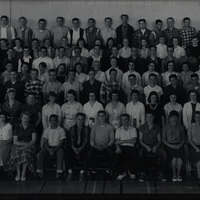 All members of the Scotts Valley Historical Society. 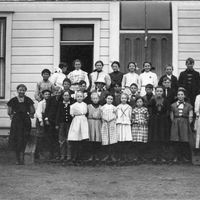 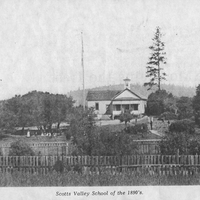 Scotts Valley School and surrounding grounds in the 1890's. 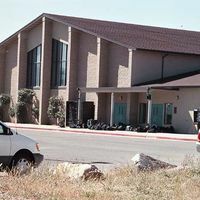 Scotts Valley High School development in 1999. 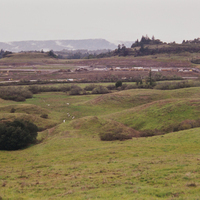 Prior site of Santos Dairy, left rear is "Cupcake Hill."